Off The Fence: "Our association is crumbling from the inside out"
ON Sunday afternoon in Kingspan Breffni (it's not a park any more) we saw a lot of what's good about the GAA. 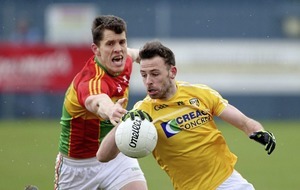 A passionate, hearty crowd enjoying 70 minutes of fiercely contested derby fare, settled in the end by Conor McManus. But then you look back to the grassroots, which is where ‘Kate' comes from. She sees a GAA where senior club reserve games are being conceded around the country on a weekly basis, thus offering no outlet for young players that, in many cases, just want a game of social football to pass the weekend. Her point, you'll find, is hard to argue with. 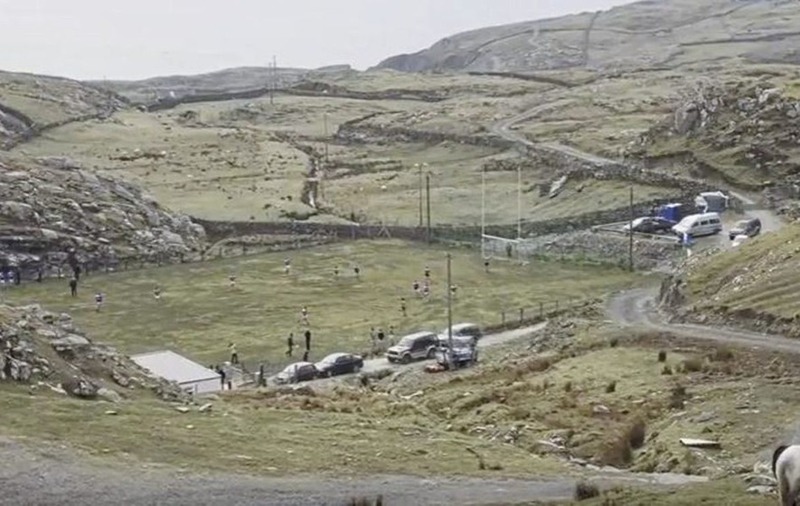 “The GAA as we know it won't exist in 10 years' time. The egotistical need for managers to win at all costs means anything goes (either for their own ego or because they're being paid). That means no reserve football – the players are dumped on in favour of results. Mediocre players don't matter to anyone and therefore they have no outlet or game time, so they are leaving younger and younger. These mediocre players are the underage coaches, club secretaries and PROs of the future. CO'K: Nothing further, your honour. ‘Paraic from Cavan' was present at Breffni Pa…. ah to hell with that. He was in Cavan fir the fudball on Sunday and left somewhat disillusioned with his county's lack of scoring power. CO'K: They managed to manufacture 0-15 against a very good Monaghan defence through a variety of different sources but I agree to a point – a successful team at the top level needs at least one forward they can rely on for scores on a weekly basis, and Cavan just don't appear to have that player right now. ‘Gerry Maguire', meanwhile, was so taken by events in Innovate Wexford Park (aren't we very good to all these sponsors?) on Saturday evening that he's considering abandoning ‘Gaelic Handball' altogether. “Hurling, the game of the Gael, the game of the gods is the greatest expression of who we really are and is everything Gaelic Handball is not. ”Wexford and Kilkenny was a magnificent collision of panache and power, of skill and steel from 30 gladiators deftly wielding scimitars of ash on a hot Saturday night in Wexford. “Of course there were a few rucks, but both sides decided that attack was the best form of defence. ”Wexford won a battle that was epic, enervating and made you proud that we still have the greatest field game in world. ”The pace was frenetic, never flagging, the hits thundering, but there was no whinging, ducking, diving or shoving linesmen. ”This was real manliness on a hot Saturday night in Wexford town. ”Hurling when played properly is pure poetry while Gaelic Handball is surely dull, plodding prose which is robotic, moronic soul less, negative and Jesus oh so boring. ”But hurling is uniquely our own, a proud heritage going back to Cu Chulainn, the original ash artist. ”And forget about that crappy Compromise Rules Series, we should export hurling to countries like China and Japan for they too have the warrior spirit of the samurai and would be great hurlers in a few years, look at Lee Chin from Wexford who is a fine example of Irish and Oriental flair. ”As for Gaelic Handball, forget it until the number of hand passes is reduced to four and maybe we might get a bit of reasonable FOOTBALL. CO'K: As the saying goes, a bad game of hurling is better than a good game of football. And Saturday night's was a very good game of hurling. This year's hurling Championship does look wide open but it's only four years since people were talking about a new age led by Clare and Cork, which hasn't materialised. It could be a great summer for hurling but judgement may be best reserved just yet. 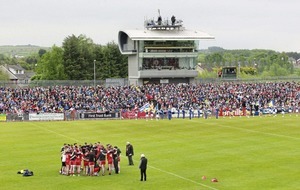 And football does produce its share of good games, particularly in All-Ireland semi-finals and finals of recent years. Lastly, although we don't have room for much of his submission, ‘Disillusioned Gael' was feeling such after attending a club game in Antrim recently. He was less perturbed by the referee's knowledge of the rules than his attitude, making a long list of complaints including a player being told “Don't talk to me” by the official. “I believe the main issue is that there is absolutely no accountability for referees within the county, it is many years since I have seen or even heard of any referee being assessed and, at times, should you dare to question a decision, you run the risk of being booked, sent off or banned for a misdemeanour which you may not be guilty of. CO'K: It's the same in every county in Ireland – there are referees out there that strut arrogantly around and look through their nose at anyone speaking to them. Thankfully, they're in a small minority and I've always said that referees in general are among some of the best people in the GAA. For every bad ‘un, there are 20 good ‘uns.